A new Centers for Disease Control and Prevention (CDC) report presents evidence that dengue fever, largely absent from the United States for decades, has reemerged in Florida. 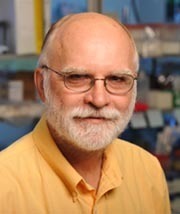 David Severson, a University of Notre Dame biologist and director of the University’s Eck Institute for Global Health who was instrumental in mapping the genome of the Aedes aegypti mosquito that transmits the dengue virus to humans, believes that the report signals a possible significant public health concern that deserves increased public awareness. The last dengue fever outbreak in Florida occurred in the 1930s. However, the Caribbean region and Central America are experiencing one of their worst public health outbreaks in decades and public health officials theorize that an infected visitor from those areas may have passed the virus to mosquitoes in Florida or that mosquitoes infected with the virus may have arrived in Florida on cruise ships or airplanes. The CDC report indicated that five percent of Key West residents show evidence of exposure to the dengue virus. Dengue comes in two forms. Dengue fever usually starts with a high fever and chills and may include headaches, backache and muscle and joint pain. Dengue hemorrhagic fever is a potentially deadly disease characterized by a high fever and may be accompanied by loss of appetite, nausea, vomiting, abdominal pain and nose or gum bleeding. Severson feels that the Florida cases could signal a reemergence of dengue fever along the East Coast of the United States. “Diseases such as dengue and malaria are reemerging nearly everywhere on the planet where it is warm and humid enough for the mosquito vectors to breed,” he said. He points out that there was a history of mosquito borne diseases, including yellow fever and malaria as well as dengue, in the U.S. up to the early 1900s in areas as far north as Philadelphia. He notes that public health measures such as better sanitation and initiatives such as the Tennessee Valley Authority (TVA) project that included efforts to modify or eliminate aquatic habitats for mosquito breeding were instrumental in bringing many mosquito borne illnesses under control in that region. Although cognizant of the concerns of Florida tourism officials already facing worries that the oil spill in the Gulf of Mexico may be scaring away visitors, Severson feels that the significance of the dengue cases should not be underestimated.